November 26, 1897:“MENTION WAS RECENTLY MADE in this column of the incorporation of the Johannesburg Gold Mining Company, several well known Los Angeles men being included in the directorate. G. Decatur & Co. commission brokers of this city, have just concluded a deal with a syndicate of local capitalist, who have taken the entire treasury stock of the company, comprising 250,000 shares, and paid cash for it. They intend to go to work at once on the development of the claims owned by the company, which include about seventy acres of mineral land, comprised within the claims, “Monte Cristo No. 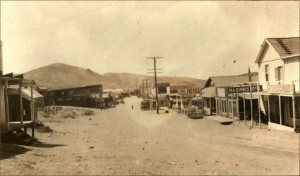 3,” “Alameda No. 2,” “Croseus,” and “Golden Wedge,” of which the three former are full claims, and the latter a fraction. They are in the heart of the Rand district. Adjoining them on the east is the Pinmore mine owned by the Ashford Mining Company, which is working day and night shifts, and operating on a fine body of ore. Further to the east, 1000 feet from the property and on the same ledge, is the Alameda, a producer, with rich ore and a large quantity of low-grade ore.
May 5, 1917: “TWENTY YEARS AGO TODAY. FROM THE CALIFORNIAN OF THIS DATE “W. 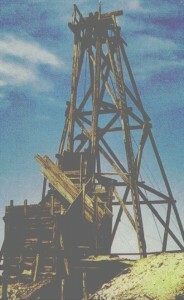 W. Stockton has sold the “Success” mine near Randsburg for $10,000.” – Bakersfield Californian. September 11, 1897: “THIS COMPANY has been incorporated for the purpose of buying, selling, bonding, leasing and otherwise acquiring and disposing of mines and mining property, developing, working and managing the same, and to conduct a general mining reduction and refining business in all its branches. It now owns and controls a number of properties among which are: The Helen S, Anita T., Hillside, Sunny Slope, Gold Bug, Success, Keno, and Triangle mines, also two mill sites and a well with sixty feet of water in it. Three of these properties, the Success, Keno, and Helen S. are situated about one mile north of Randsburg and about three-quarters of a mile northwest of Johannesburg in the low foothills which separate the two places. A large amount of development work has been done on these three mines, and all of them are considered valuable properties. The country rock at these mines is composed principally of mica, schist and szenite, with fissure veins cutting the formations northwest and southeast, with a dip to the northeast. The veins at the surface consist of quartz, schist, and –lc spar, and are much broken; but as depth is attained they straighten up, and the walls become regular; the schist disappears and quartz takes its place, and increases in value. The Success is a full claim, 1500 feet long by 600 feet wide, and has one of the largest veins of gold bearing quartz in the Rand District, extending the whole length of the claim. The vein crops for over 600 feet, showing free gold, and where cross-cuts of the ledge have been made, test by horn spoons show gold for over thirty feet in width. The lowest assay made on the ore from this mine was $2, and the highest $273 per ton. There is a very large body of ore in this vein that will average from $10 to $20 a ton. There is also a considerable quantity of high-grade ore. At the 130-foot level there was ore that in a horn spoon test gave the result of over $600 to the ton. The indications are that as depth is gained the ore increase in value, as has been demonstrated in the work already done. On this mine there has been considerable permanent work done, consisting of an incline shaft 175 feet-deep, a tunnel 200 feet, a cross-cut 25 feet, besides some surface work. The Keno lies about 600 feet south of the Success, and is a parallel vein which can be traced the entire length of the claim, 1500 feet. This is a large vein of good ore. At one place where it is opened, it shows three feet of ore at a value of $40 per ton. There is a 50 foot shaft and considerable surface work,with a good showing has been done on this mine. The Helen S. is about 600 feet east of the Success, is a full claim, and has an incline shaft down seventy feet, with a good showing of ore. Assays on the ore from this shaft show a value of from $33 to $175 a ton. The Anita J. is southeast of the Success, and near Johannesburg. Not much work has been done to it, but the indications are good, and it is in a good location. The Hillside, Sunny Slope, Gold But, and Triangle are situated about one mile east of the Rand group and west of the Gold Coin and G. B. Mines. There has been but little work done on these claims, but the properties are good for making mines of them all. The properties are easy of access, with good roads to them all. 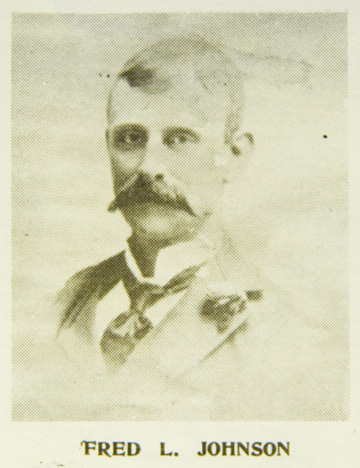 June 10, 1897: “MR. BAKER, ALSO IN CONNECTION WITH LUCKY BALDWIN, at the time of the latter was here, purchased of Ellis Crawford and Richards, the George Cook mine, adjoining the Val Verde on the west. Mr. Baldwin was very favorable impressed with the camp and will not only return here soon to make a more extended investigation, but has given Mr. Baker instructions to look out for him in his absence. 1904: “CLAIMS WERE LOCATED in the boundaries of the town of Johannesburg and were declared invalid when mineral rights to section were established by court decree to belong to purchaser of section. Golden rule had a 100 foot incline shaft a 250 foot tunnel and 300 feet of drifts. April 5, 1896: Mineral Survey No. 4422, Independence Land District, claim located April 5, 1896 surveyed February, 1905, known as Windy Quartz Mine, owned John Singleton, improvements consisting of 1. Discovery Shaft (incline), Value $6000, 2. Shaft $60, 3. Incline Shaft $2400, 4. Incline Shaft $500, 5. Incline Shaft $600, 6. Incline Shaft $500, 7. Shaft $40. located at T.29 S., R40 E., MDM, southeast ¼ of sec. 26., and southwest corner of section 25. 1915: “WINDY GOLD MINE, controlled by John Singleton, of Randsburg, owns 90 acres in Sec. 34, T. 30. S., R. 40 E., M. D. M., in the Rand District, about ¾ of a mile west of Johannesburg, at an elevation of 3800 feet. Property leased to Fahey Bros. Small vein in schist, high grade ore, free milling. Workings consist of a shaft 200” deep, drifts, and stopes. Equipment consists of a horse-whim, cars, shop and dwelling Ore is shipped to the Red Dog custom mill. Ore runs from $40 to $300 per ton. Two men employed.” – G. Chester Brown. August 24, 1925: “INCORPORATION ARTICLES FOR RANDSBURG FIRM—Articles of Incorporation of the Randsburg Development Company, a mining company capitalized for $200,000 and organized by Los Angeles residents, were filed in the office of the county clerk in San Bernardino last week. May 13, 1926: “ACTIVE PREPARATIONS FOR MILLING ore are proceeding at the Windy gold property, owned by the Randsburg Development Company of which William Quackenbush of Wilmington is president. Mr. Quackenbush announces that a 50-ton rod mill will be in operation within 30 days. June 28, 1926: “PLAN DEVELOPMENT OF RANDSBURG MINE –Enlargement of the milling equipment of the Windy mine of the Rand Development Company to care for at least 100 tons of ore daily is being planned, it is said. The present capacity is 50 tons daily. Officials of the company declare that the change can be made at little expense, the foundations at the mill having been originally laid for heavy duty equipment. March, 1900: “THE GOLDEN RULE GROUP, consisting of the Golden Rule, Aurora, Drury, and Star are owned by Messrs. Johnson and Taylor. These claims are within a quarter of a mile of the town site of Johannesburg, and are fairly well exploited by shafts and tunnels. Enough work has been done to demonstrate that they are good properties. The claims extend westerly, and are only a short distance from the Butte, Wedge, Kinyon, and Little Butte. There is not doubt the same ore body extends through them that has been found in the above mentioned claims; in face the croppings have been followed on the surface, and a tunnel and shaft sunk, considerable drilling has been done, and the ore milled as high as $200 per ton. The ledge was followed down from the surface seventy-five feet, as which point it was fully three feet in width, and seven tons was milled at the Red Dog, from which was obtained and average of $18 per ton. There is no doubt it will improve as depth is made, or that some other part of the vein will show better results.